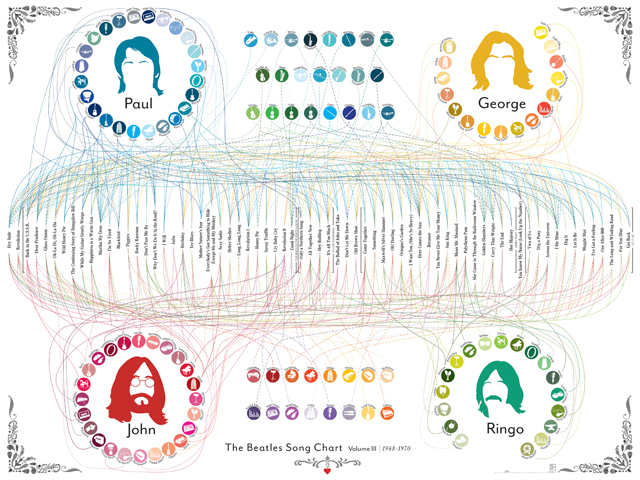 The Beatles Song Charts are a three volume set of designs by Pop Chart Lab that display a detailed breakdown of individual instruments from Beatles songs. 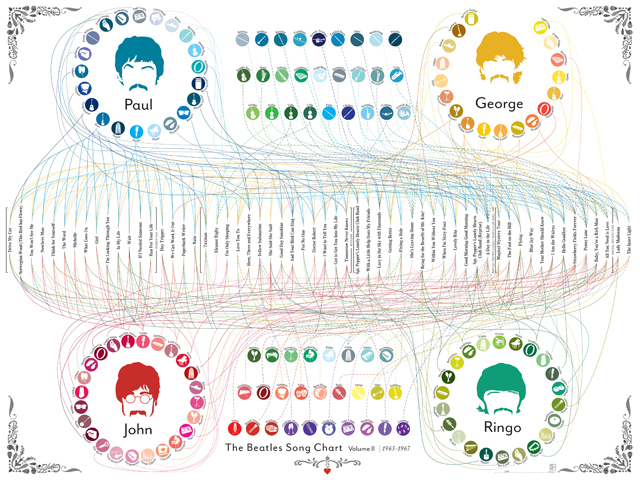 Each design shows a different period in their extensive musical career. 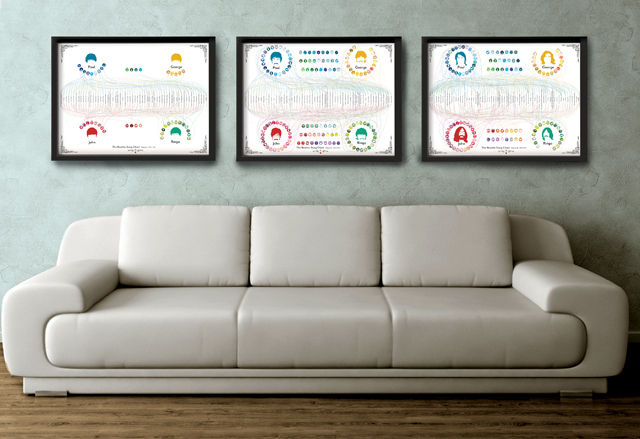 Prints of Volume 1, Volume 2, Volume 3, and a box set of all three designs are available to purchase online. 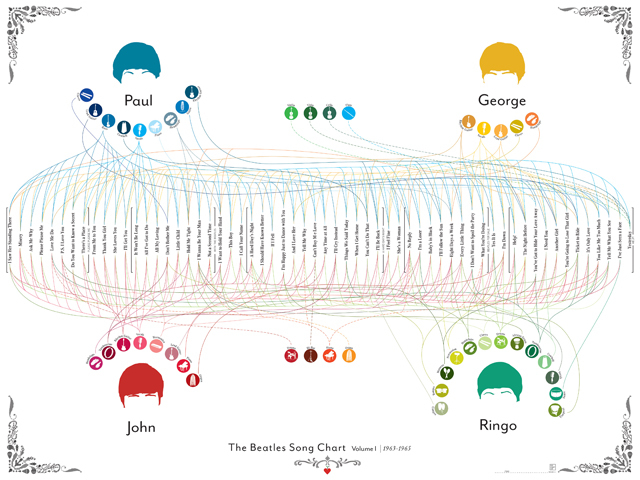 Volume II covers their explosively creative middle period, from the release of “Rubber Soul” through “Magical Mystery Tour,” as the band incorporated exotic instruments such as the dilruba and tambura, as well as improvised sounds such as clinking glasses, rattling chains, and more.